Implementing Cisco IP Routing is a qualifying exam for the Cisco Certified Network Professional CCNP®. This course describes different path control methods and how they effect traffic as well as how to configure IP service level agreements. Then it covers policy-based routes as well as implementing Border Gateway solutions both internal and external. 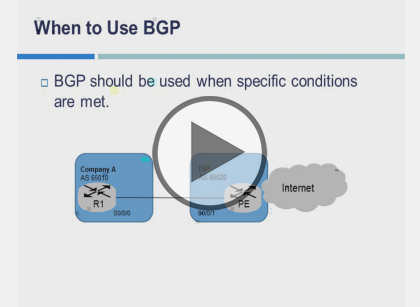 It finishes with how to troubleshoot and configure Border Gateway Protocol as well as different methods of filtering BGP routing updates. Carlo has worked in the computer technologies industry since the mid-90s. He is also a certified member of Microsoft, Cisco, ISACA, PMI, CompTIA, IIC, and EC-Council. He has designed and customized courses for private and public sectors, including college curriculums, and has worked as a lead consultant engineer in corporate Cyber security and Information Assurance training since 2001. As a certified Microsoft Instructor, Ken has focused his career on various security aspects of computer and network technology since the early 1980s. He has offered a wide variety of IT training and high level consulting projects for Fortune 500 companies globally. Through the course of his extensive career, he has taught a full line of Microsoft, CompTIA, Cisco, and other high level IT Security curricula.